Hi there! We are Cath and Andrew, a pair of Kiwis on the adventure of our lives. We love to travel and regularly explore and travel to new and familiar locations. After years of working hard and squeezing travel into our available leave, we are flipping our lives on their heads and heading off for new adventures. In mid-2017 we sold our house, put what is left of our possessions into storage and made the move to house sitting and travelling. After house sitting in New Zealand for six months, we in November 2017 travelled through South East Asia and Europe and landed in the UK in mid-January. We have now been on the road for just 7 months. What is Red Door Ponderings about? We started Red Door Ponderings because we are always looking for good sources of information about new destinations – that was tailored to us. We struggled to find good, clear and easy to read information we could use. We aren’t spring chickens heading off on our Big OE to backpack around the world, but we definitely enthusiastic travellers excited about exploring new parts of the world and challenging ourselves to try and do new things. We are always on the look out for good quality experiences at a good price. We aren’t going to be backpacking our way around the world either! We take a slower approach to our travel, taking time to soak in and experience new places, flavours, cultures and views of the world. Our friends and families are always hitting us up about new destinations and our experiences. We want to know about other travellers experiences – what they love and didn’t love. We want to see people like us represented in travel stories. So, Red Door Ponderings tells our stories, where we have been, what we have learnt, what we would do again and what we would avoid at all costs and hopefully you can use some of our experiences to plan your next trip. Travel is for everyone – yes, even you! We love visiting new places and discovering new favourites. We love good food – so most of the time our decisions are guided by great food and new flavours – but not always! Is Visiting Ho Chi Minh Worth It? 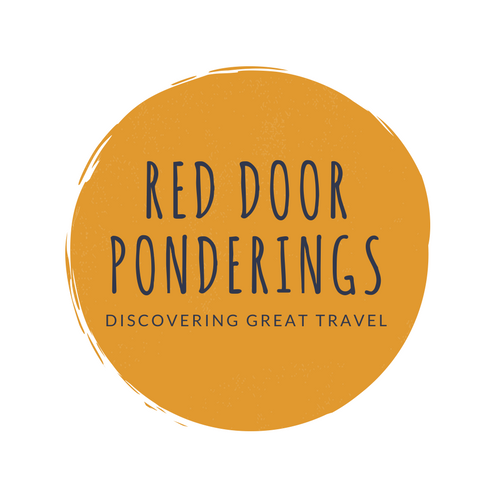 Red Door Ponderings is where we share our stories about transitioning from homeowners with busy careers, to home free with less busy careers, and our travel and house sitting adventures. Are you thinking about heading to a new destination? Or figuring out how to get the best bang for your buck from your next trip? Get in touch and let us know what you want us to see, do or visit. You can also find Andy here. River Cruise, Lyon France July 2016. Ohhh you are going to LOVE Krakow during Christmas time. It’s really a Christmas city. It’s one of my second homes, I really hope it will treat you well and you’ll come back with great memories!! Thanks. I have heard really good things! It seems ages away but it will come around quickly.